Flexible Floor Plan ~ Great for Multi-Generational Households! Hardwoods, Tile, Granite, Custom Cabinetry Flexible Floor Plan ~ Great for Multi-Generational Households! This lovely home features an abundance of architectural details and is located in one of Burlington?s most prestigious neighborhoods. 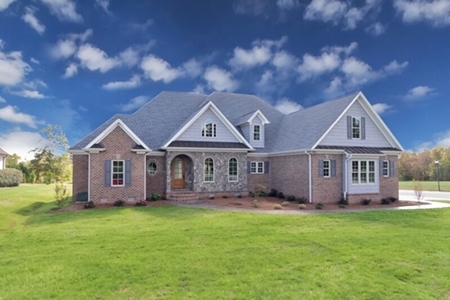 The traditional style home is low-maintenance with a brick exterior and features a stunning view of the lake. Some of the many amenities in this four bedroom, three and a half bath home include a spacious entrance foyer with barrel vault ceiling, a vaulted ceiling in the great room that opens to the covered back porch, custom cabinets and granite tops in the kitchen and master bath, a spacious first-floor master suite with tray ceiling and bath with a large tile shower and separate tub. Other features include a guest bedroom on the main floor with separate bath, large laundry room, hardwood and tile floors throughout, custom moldings, a covered wrap-around front porch, an oversized three car garage, large bonus room over the garage, floored attic storage and other details are incorporated throughout to make luxury living a pleasure. Bonus Room over the Garage! DIRECTIONS: From I-40/85, take exit 140 and head south on University Drive to Waterford Subdivision. Turn onto Dunleigh Drive off of University Drive and the house is at the corner of Dunleigh Drive and Cheek Point Place. Elegant Home Features Two Bedrooms on Main Floor! 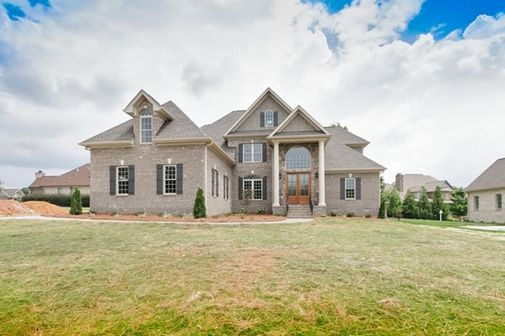 This stately 3,726 sq. 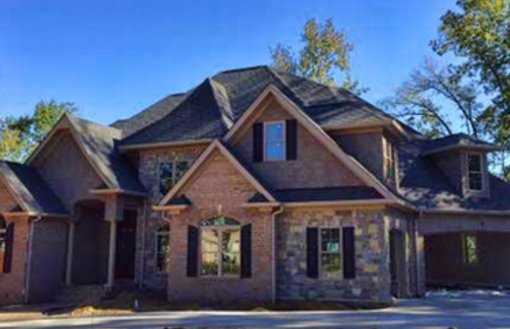 ft. traditional style low maintenance brick and stone home has 5 bedrooms, 4 baths, great room, dining room, gourmet kitchen with granite tops and custom cherry cabinets, breakfast room, master bedroom with tray ceiling and rope lighting, bonus room, two laundry rooms ? 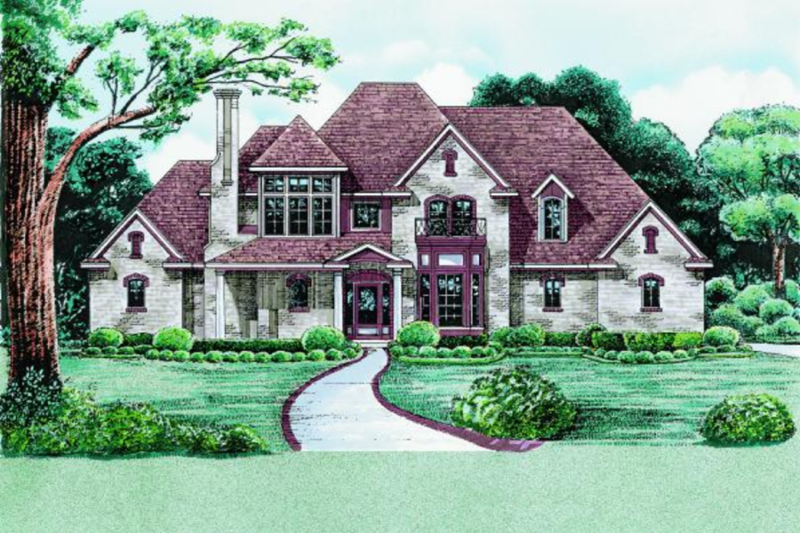 one on each floor, three bedrooms upstairs and a huge bonus room, a fabulous outdoor entertaining area with screened porch, fireplace and beamed ceiling. Large floored attic for storage and convenience and triple car garage. Large lot offers privacy and screened porch overlooks a stream! 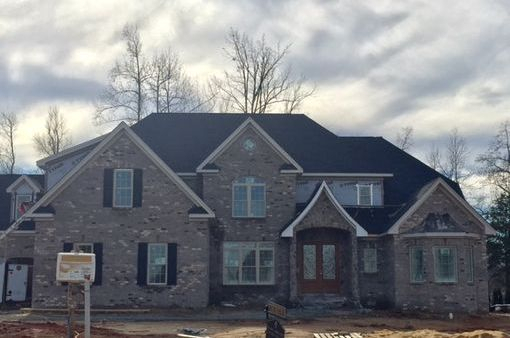 From I-85/I-40, take exit 140 and head south on University Drive to Waterford subdivision. Turn onto Dunleigh Drive off of University Drive and go about ¼ mile. House is on the left on the corner of Dunleigh Drive and Creek Point Place. Conveniently located in Waterford, Burlington?s premier luxury home neighborhood, this elegant home features three bedrooms on the main floor and has an incredibly flexible floor plan. The stately 3,793 sq. ft. traditional style low maintenance brick and stone home has four bedrooms, three and a half baths, vaulted great room, dining room, gourmet kitchen with granite countertops, island and custom cherry cabinets, breakfast room, study with coffered ceiling, exercise/option room, bonus room, fabulous outdoor entertaining area with vaulted beamed ceiling and masonry fireplace, floored attic for storage and convenience and a four car garage.